Updated: This feature is added again with more improvements! SetCronJob now supports Batch CronJob Operations, including Delete, Disable multiple cronjobs at once. 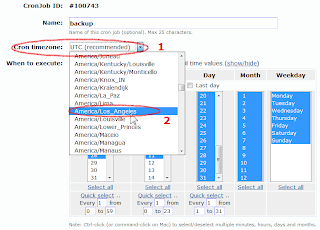 To do this, simply click on the the cronjobs' row (the row will then be marked as selected, and the checkbox at beginning of row is checked), then select desired operation. 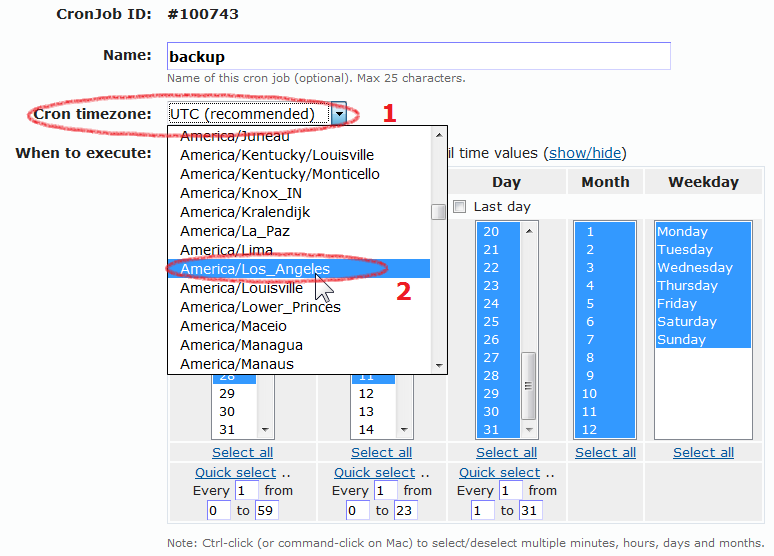 You can also check the first checkbox at header row (before ID column), this will select/unselect all cronjobs at once. More batch operations will be added if necessary. After moving the server, we forgot to forward the emails via Contact form to our support mailbox, so your messages weren't received. Recently, our server had performance problem, which caused high server load, slow website speed, slow database queries. We worked with KnownHost but couldn't find out problem and solution. (They did help, and also reinstalled the server, but it not worked as expected). So, we moved the whole site to a new server, and ended up at Linode. SetCronJob is now stable and fast. We tried our best to make the moving flawless, but troubles were unavoidable, and sometimes you may see SetCronJob was inaccessible, or showed error message. 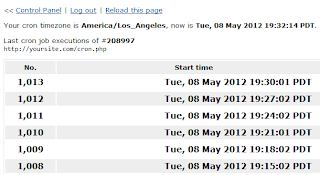 Some cronjobs failed (with message "Cannot assign requested address") or didn't run. Before the problem occurred, we already made an assurance: if SetCronJob has downtime and couldn't execute cronjobs, when it's up again, it'll run them once. This is useful when we're facing downtime: if your daily backup cronjob couldn't run at 0:00 due to SetCronJob down, it'll run later e.g. at 0:03, so at least it runs your backup. Additional IP(s) may be added soon if necessary. If you encounter any problem, or have any question, please comment below or contact us. 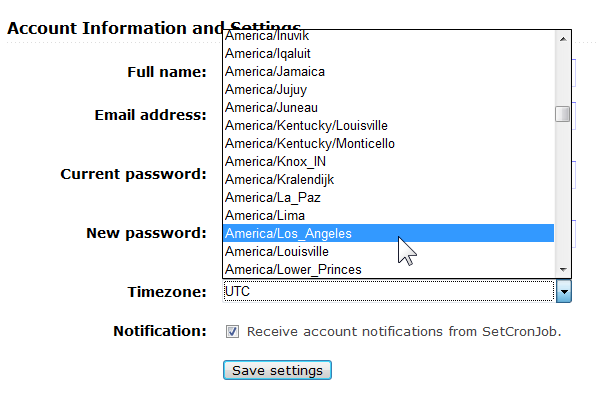 This feature is greatly helpful when you want your cronjobs to execute under your timezone or any desired one. From now on, your cronjob will be executed under American/Los_Angel timezone (Pacific Time Zone, PDT - with daylight saving time, or GMT - 7). 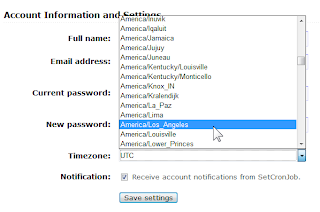 You can also visit My Account tab and select your desired time zone. SetCronJob does support Daylight Saving Time (DST), where we move our clocks back and forth (Spring forward, Fall back). 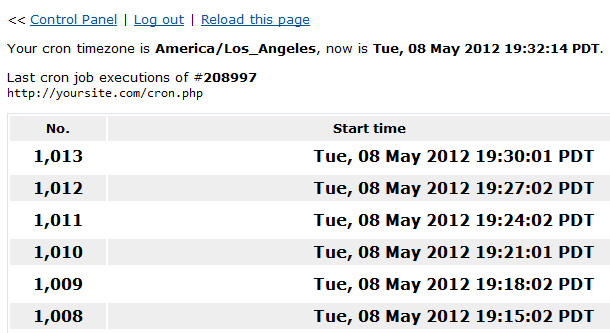 It's useful when you'd like your cronjob to follow the time change in some nations/areas that observe DST.